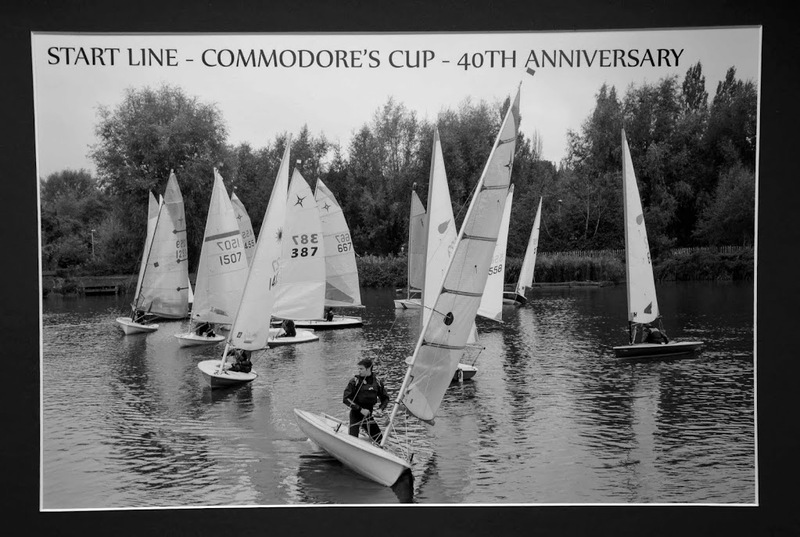 It was entirely appropriate that the first-ever Commodore of the club, Derek Dewey-Leader (1973), should be at Stanborough Lake for the 40th Anniversary Commodore’s Cup event on October 19, but he wasn’t allowed to swan around as guest of honour ... Commodore Pete, who had invited him, pressed Derek into action as an honorary AOD and the pair of them were soon hard at work in the race hut ‘cooking the books’ in time-honoured fashion. 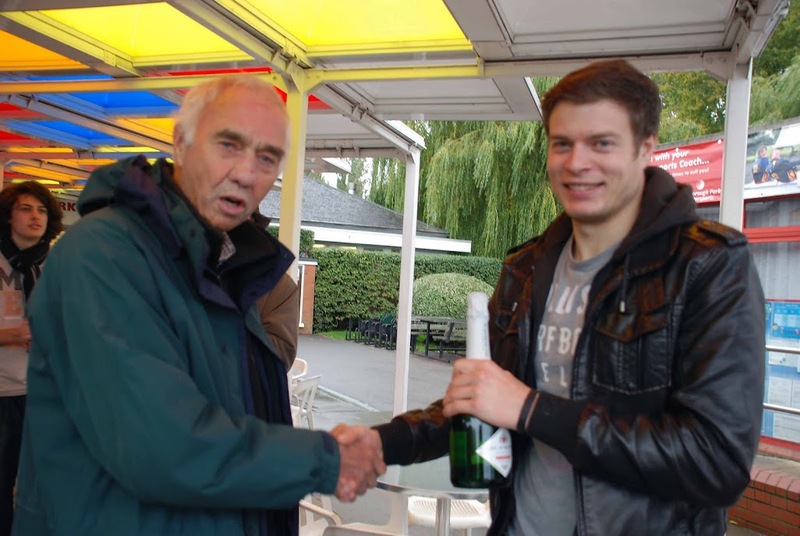 Derek appeared to enjoy the experience, and he even managed to find time to take a fantastic black-and-white photo at the start of the second race. 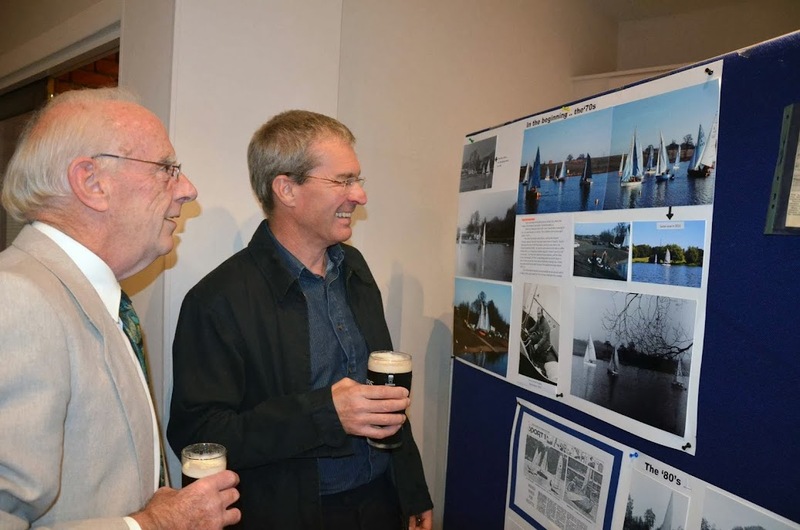 He later presented a large framed version of this pic to the club at the Commodore’s Cup dinner as a keepsake of the occasion. 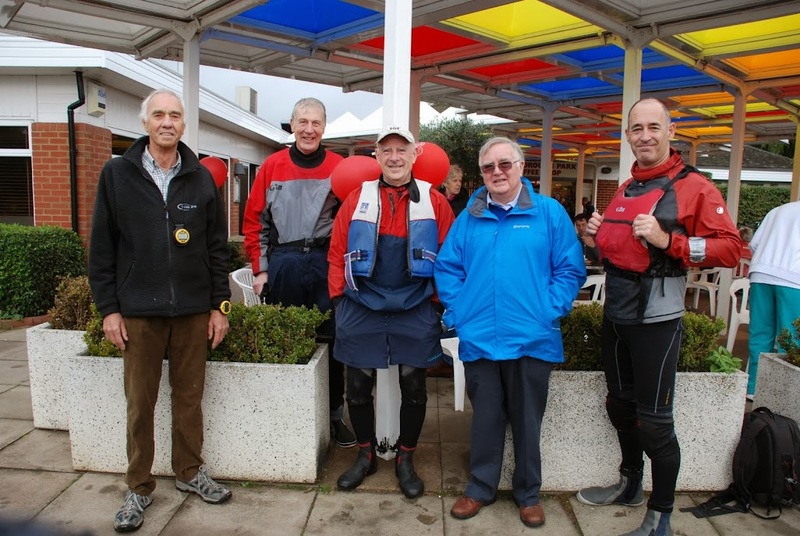 Commodore Pete writes: “The weather for 19 October promised a reasonable wind from SSW, which is an OK direction, allowing a decent beat from mark 3 to mark 6. On the day, the wind was from the right direction, but rather light and patchy, and the fast boats only managed 4 laps in the hour. 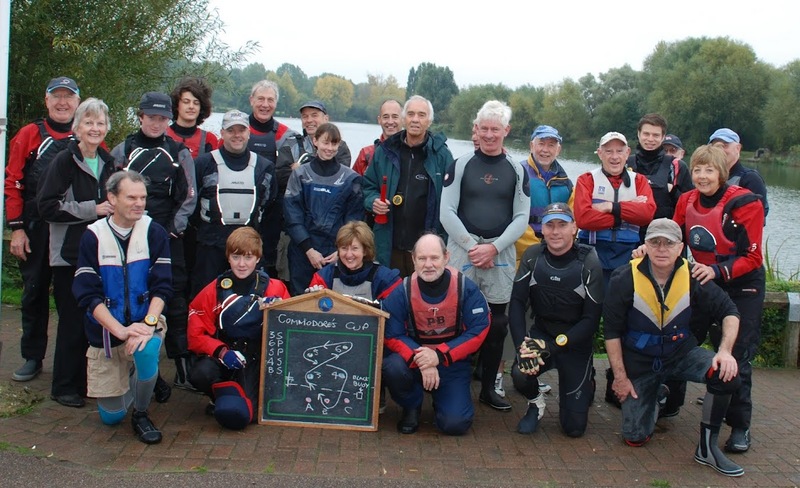 The second race had a shorter course, but the wind dropped so they still only managed 4 laps. 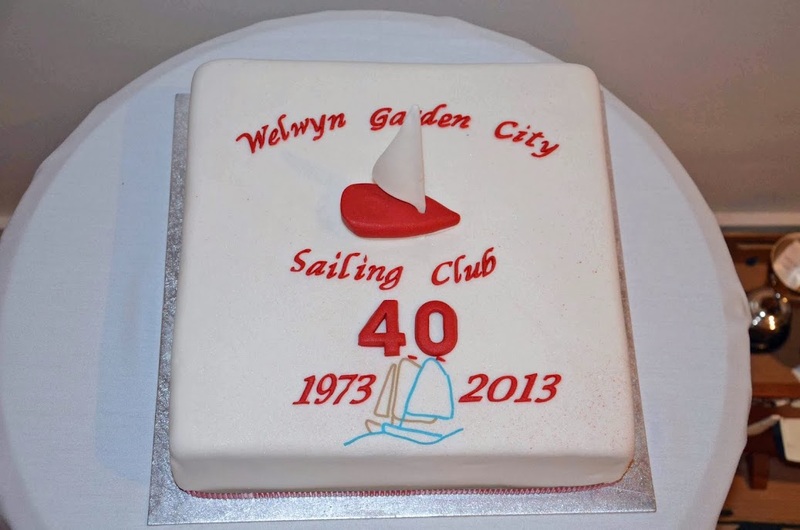 Some 60 or so Wellys from past and present turned out to celebrate the club’s 40th anniversary at the Annual Dinner following the Commodore’s Cup. 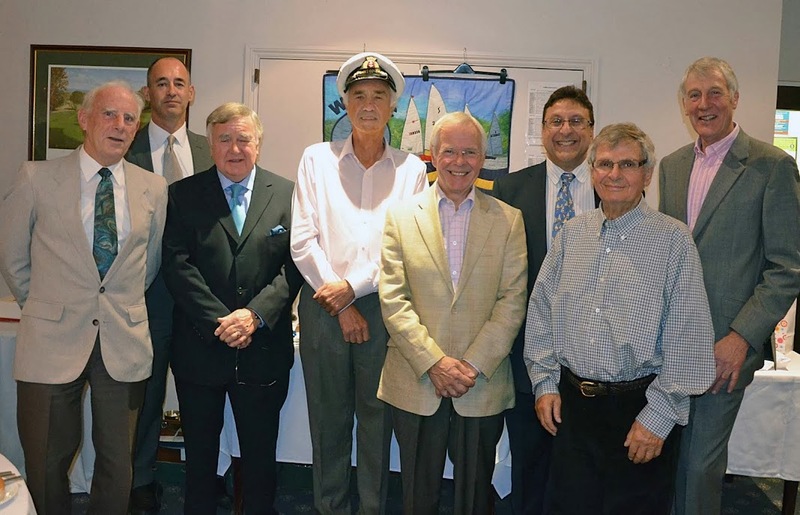 The gathering included eight Commodores: Derek Dewey-Leader (1973), John Pike (1991), Frank Puranik (1994), Charles Adams (1997), Dave Campbell (2000), Tim Browning (2006), Shaun Smale (2009) and Peter Thornley (2013). Unfortunately Brian Cardinal (1988) had been forced to cancel at the last minute due to a catastrophic injury to his knee which occurred just the week before. 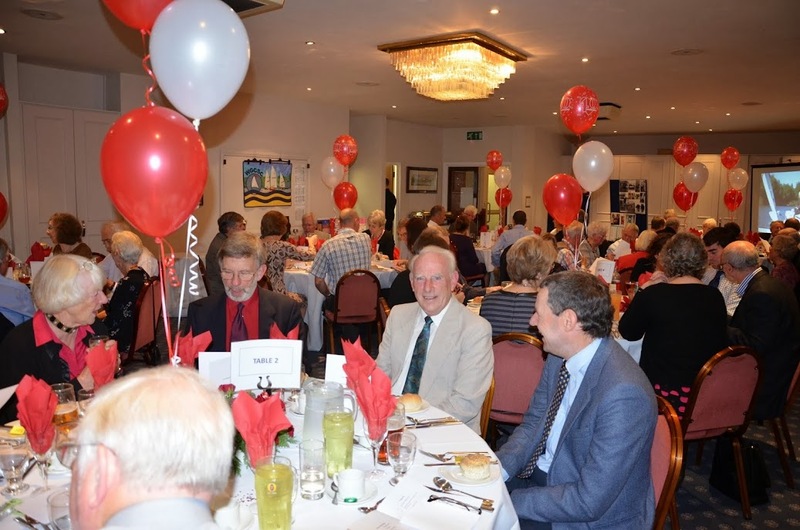 To set the scene, the dining room had been “dressed overall” with ruby red balloons and flower centrepiece on the tables, and there was also a static photo display of pics from the four decades the club has been in existence. 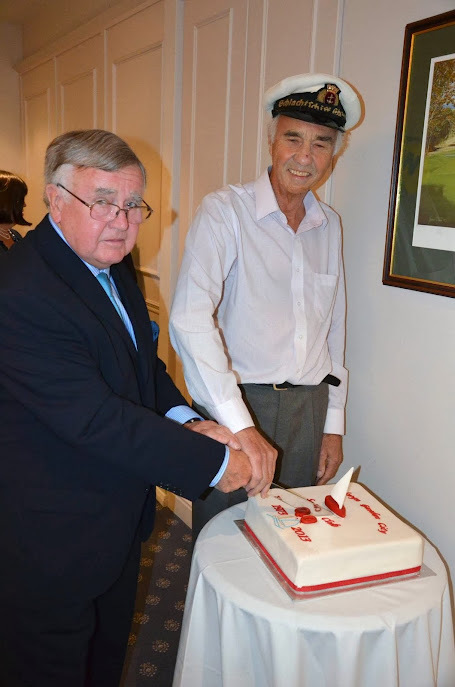 Host for the evening was Commodore Pete Thornley and he invited the club’s founder, Derek Dewey-Leader, to join him in ceremoniously cutting the 40th Anniversary cake before the meal began. Derek later entertained us with anecdotes about the early days of the club as well as some hilarious true stories of his own. 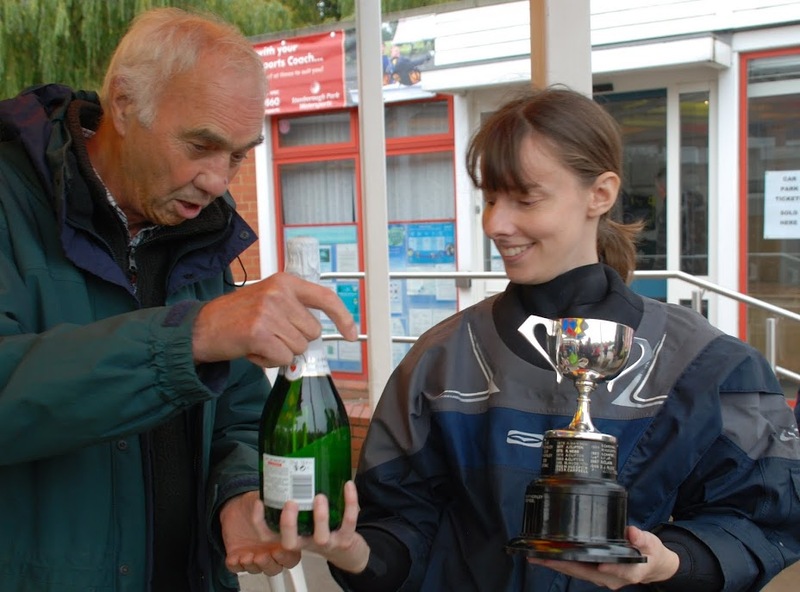 He was followed by Frank Puranik, Commodore in the 21st year, who told of the club’s first efforts at creating a website and how his frustration with the Laser dinghy led him to design the Supernova. 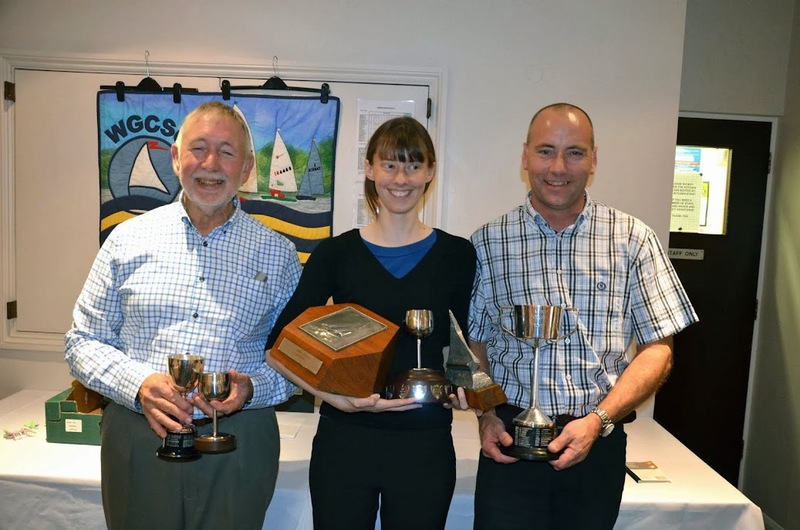 Finally, Val Newton proposed a Toast to the Club which highlighted 2013 sailing triumphs by Barry Leake, Annabel Cattermole, Alastair Luxford and Pauline Shaw, as well as the club’s much praised friendliness to all comers. Thanks were given to Sheila Stowe for organising the evening, to John and Victoria McDermott for compiling a great table quiz, and to Richard and Rachel Bull for running the raffle.